Here's a car I would drive: the Nissan Note. To be precise, one with that defiantly aubergine body. And the 1.5L diesel that I estimate will get around 60 mpg. It's a good-looking hatchback with nice lines, room for five, and decent space in the back, although it will certainly not fit a full-size cello across the trunk, indeed not even a 3/4 cello. You can fold down the back seat in a 40-60 configuration; the seats don't fold flat: that's okay to move two cellos, but maybe not a large flat pack from Ikea. 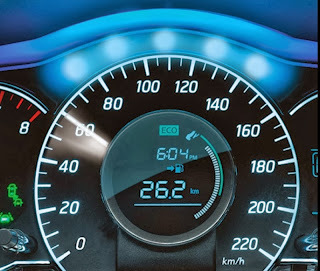 The dashboard also has reasonably clean lines, although in the 2010's you almost can't avoid the cluttered feeling brought on by the touch screen and the various buttons on the steering wheel. In a cute detail, the vents, when closed, remind you of sleeping eyes. 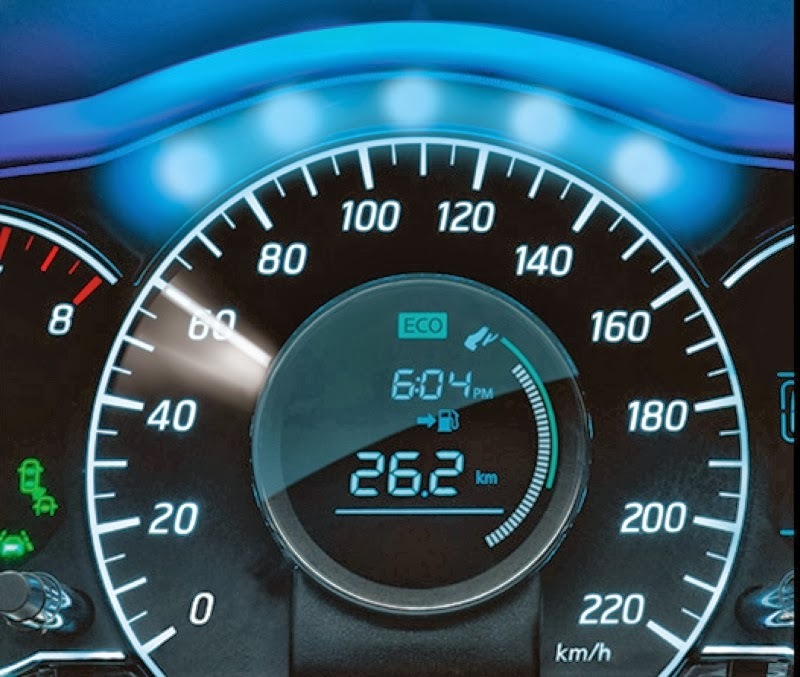 One cool thing on the dashboard is an easy-to-see efficiency graphic that gives real-time feedback on how you're doing, as well as a trip-wide eco-score. "Metallic peacock" is the most interesting body colour for sale in the US. It is not available in the UK, despite the "Dare To Differ" slogan: there the spectrum is restricted to the usual red white & blue plus black. For chromatic exuberance, try the Note in Japan, where you can buy it in that aubergine, or else in an adorable metallic pink. The Medalist version comes in gold; talk about daring to differ. 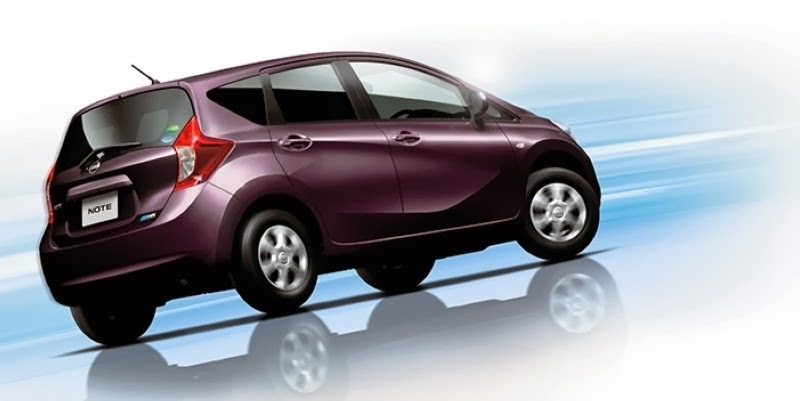 The choice of engines follows the usual story: in the US the Nissan Versa Note comes with the 1.6L gasoline engine only (up to 35 mpg or CVT transmission, less for manual). In Japan, the 1.2L gasoline engine only (choice of manual / CVT auto transmission, and optional four-wheel drive), in the UK (and mainland Europe) a choice of the 1.2L gasoline engine or a 1.5L diesel with comparable power but significantly higher torque and fuel efficiency: this one is specified at 65 mpg. It is too early for on the road data from real-life, but I think 60 mpg is not an unreasonable expectation. Obviously, this engine, able to take the Note to a maximum speed of 111 mph, is really too large. The US Note does not have a Stop/Start system, everywhere else it does. At least it retains the speed-sensitive power steering that comes on strong when you need it (like when you're parking) and discreetly fades into the background at highway speeds so you keep the response. This would be a tight fit for our family of four and one cello (the second one would have to go over the children's laps on the back seat), but the 60 mpg average fuel efficiency would make it worth my while. Can't wait to see that reach the US. Emissions rating LEV2-ULEV EURO 5 "A"